First Braintree, and now PayPal. Ebay's popular online payment system recently announced that merchants selling digital goods can opt to start accepting Bitcoin payments via PayPal's payment portal, if they're based in North America. That means you may soon be able to pay for non-physical goods such as music and comic book downloads with Bitcoin via PayPal. For now, PayPal will be keeping Bitcoin at arms length, and won't be fully integrating the payment method into its services. 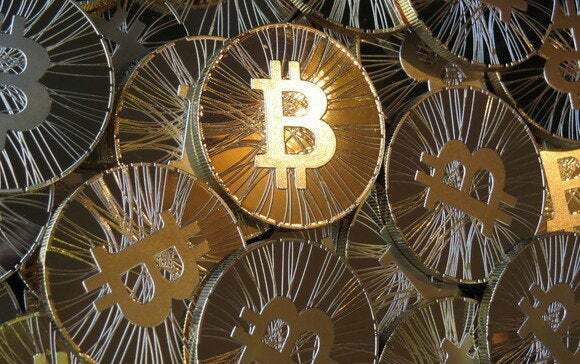 PayPal is the latest major company to take a ride on the Bitcoin bandwagon. Instead, the company chose three companies to process BitCoin for PayPal merchants including BitPay, Coinbase, and GoCoin. PayPal says it picked these three companies because "all three companies have taken steps to ensure...customers are offered certain protections." That's likely a nod to guarantees that Bitcoin prices are locked in on the day of purchase and aren't subject to fluctuations before processing. To pay for online purchases with Bitcoin via PayPal, merchants will have to elect to accept the crypto-currency using the PayPal Payments Hub. PayPal offers several third-party payment options that merchants can offer. If you don't know what the PayPal Payments Hub is, you've probably seen it in action. This is when you click a PayPal Buy now button on a website and get taken to PayPal's site. 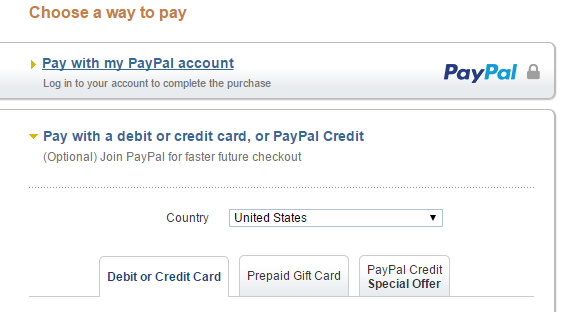 There you'll see third-party payment options below the PayPal sign-in window such as credit and prepaid cards. Given the potential pitfalls with Bitcoin such as the virtual currency's questionable legal status worldwide and its dramatic pricing swings, it's no wonder PayPal is taking it slow. With third-party partnerships, PayPal can offer the option to pay with Bitcoin, but PayPal users won't be able to integrate Bitcoin wallets with their PayPal account. Nevertheless, it does mean you get the familiarity of PayPal, and the option to pay with Bitcoin at the same time. It's not clear if buyers will also need a U.S. or Canadian PayPal account. PayPal's pre-selling option, where you pay now via PayPal and get your product later, also won't be eligible for Bitcoin payments. The company said it decided against Bitcoin pre-selling, because if a business disappears before your purchase is shipped but after the buyer protection period expires, you could be left empty handed. Consider this, then, an early trial for Bitcoin payments via Paypal.